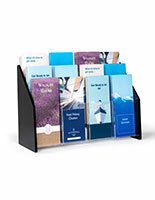 This 15-pocket literature organizer is designed to hold numerous leaflets of varied sizes, all in one great looking unit! 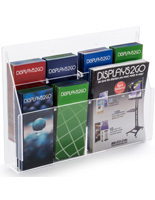 The wedge base allows materials to be stepped into three tiers so the contents are easy to view. 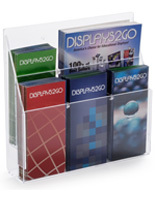 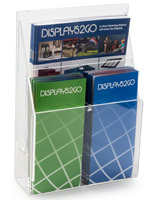 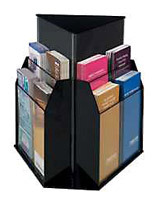 This pocket literature organizer, also known as a magazine racks, is perfect for any professional environment displays that promote wares and services. 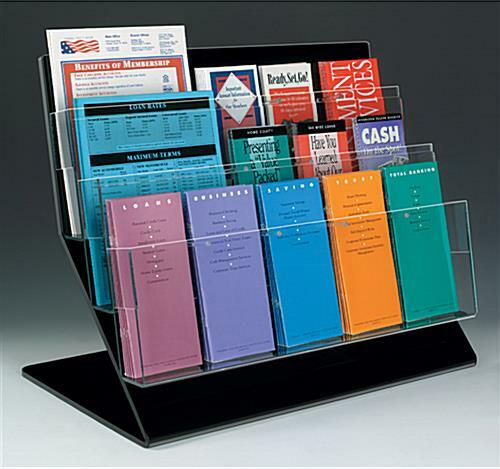 Constructed of acrylic materials in glossy black with for 4-1/8"w or 8-1/2"w pockets, business stands that showcase varied sizes of materials are affordable at this website! 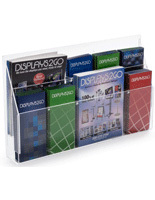 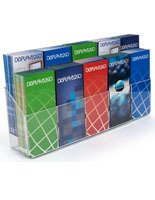 Buy this literature organizer that is an office fixture in bulk for mega savings! 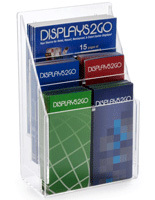 18.0" x 18.8" x 11.3"